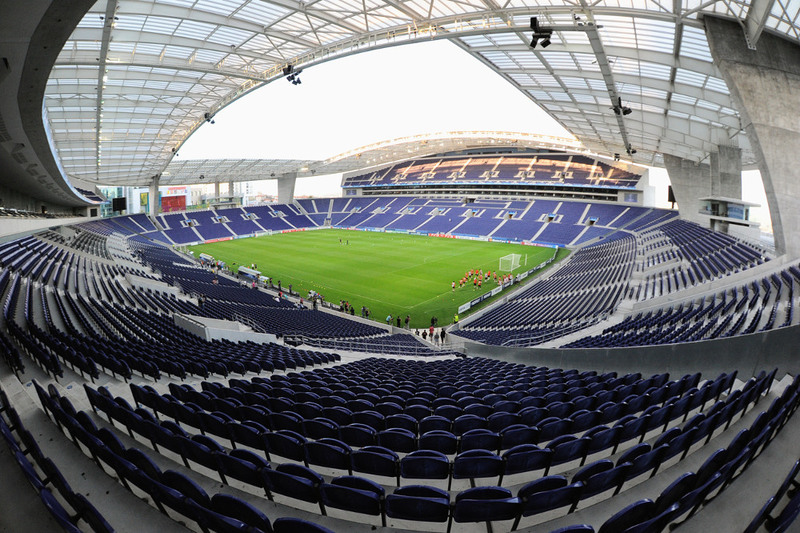 Estádio do Dragão was built to provide FC Porto with a modern home and Euro 2004 with one of its flagship venues. It replaced FC Porto’s old Estádio das Antas. 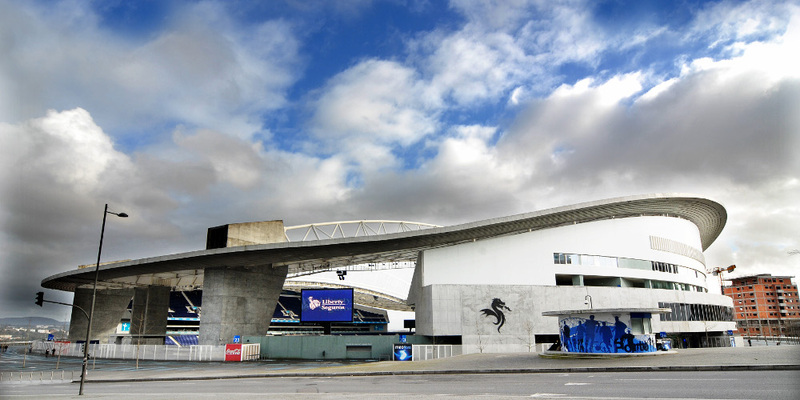 Estádio do Dragão is estimated to have cost €98 million. It officially opened on 16 November 2003 with a friendly between FC Porto and Barcelona (2-0), which was the debut of Lionel Messi in Barcelona’s first team. 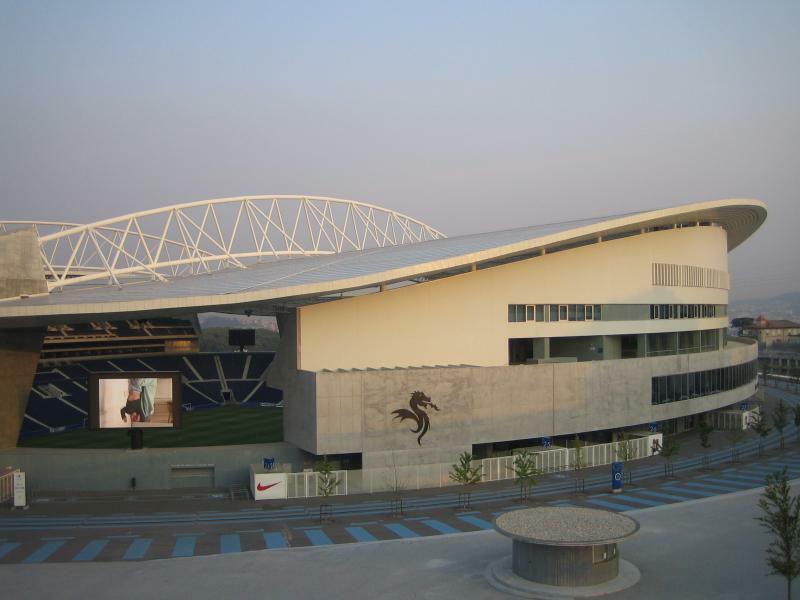 During Euro 2004, Estadio do Dragao hosted the opening match, another two group matches, a quarter-final, and the semi-final between Greece and the Czech Republic (1-0). 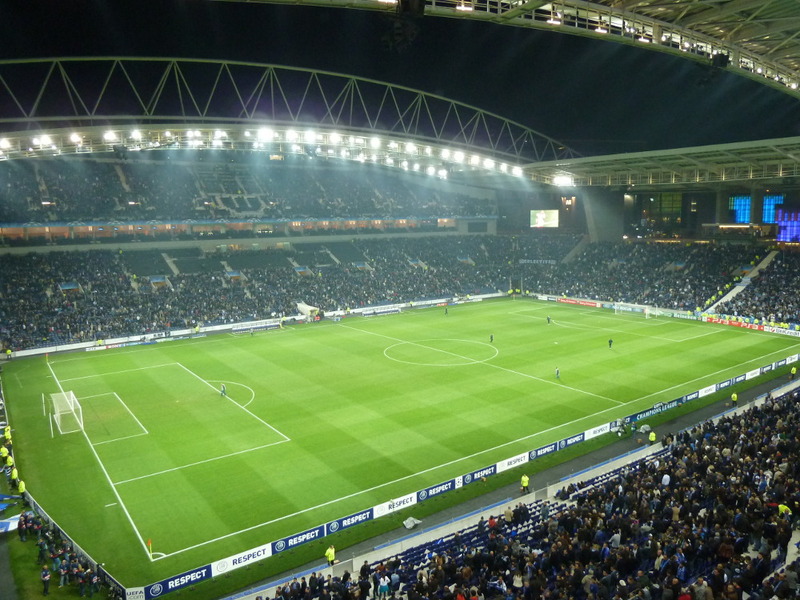 Estadio do Dragao is located just under 4 kilometres north-east of Porto’s historic centre. It sits directly adjacent to the motorway that circles the heart of the city (Via de Cintura Interna). Take the exit that is marked with the sign Estadio. If using public transport, the stadium can be easily reached by metro. The stadium is served by line A, B, E and F, which can all be boarded just north of the historic centre, for example at stops Trindade or Bolhão. You can also first get on line D at one of the city centre stops (or train station São Bento), and then transfer to one of the above lines at Trindade. Get off at station Estadio do Dragao, which for most lines is also the last one. The area around Estadio do Dragao is a mix of offices, retail, and residential buildings, with large shopping centre Dolce Vita located right next to the stadium. It has the typical selection of food court restaurants and coffee shops, and also boasts a cinema. If you can, however, eat and drink in Porto’s lovely historic centre, which has a large variety of eating and drinking establishments. 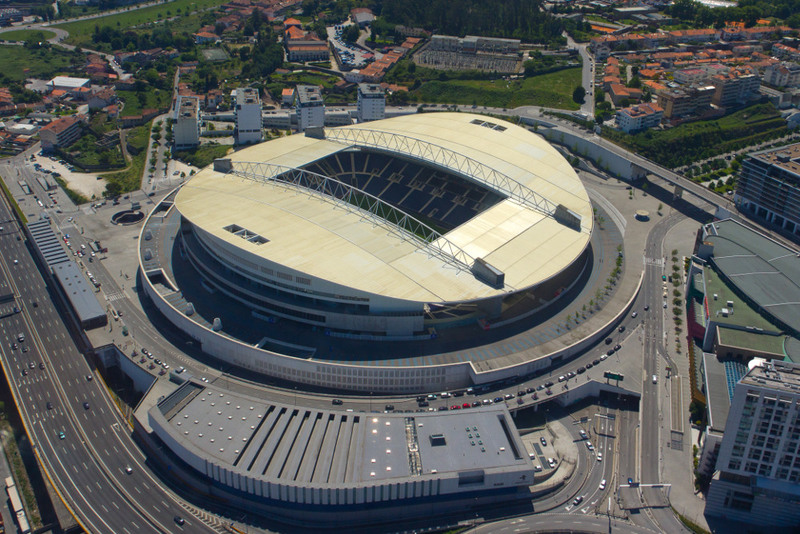 If you come just for the match and prefer to stay close to the stadium, there are a few hotels near Estadio do Dragao. The AC Hotel Porto lies right next to the stadium, gets good reviews, and is reasonably priced. Porto Antas Hotel is an equally excellent but cheaper option, and if you are on a tighter budget, B&B Portucalense or Villa Boutique might have your preference (though are slightly further away). 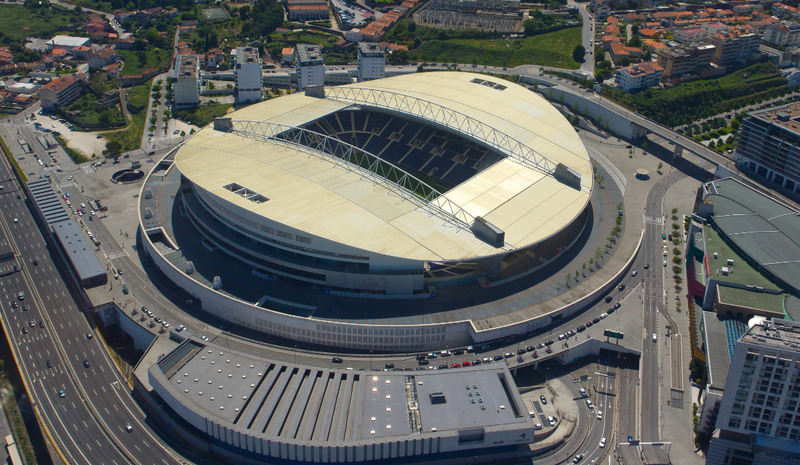 For all hotels near Estadio do Dragao click here. If you have more time on your hands, then staying in Porto’s historic centre may be a better option. Click here for an overview of hotels in the centre. Tickets for FC Porto games can be bought online, by phone +351 707 28 1893 (Linha Dragão), at any of the Porto club stores (Loja Azul), or at the ticket office of Estádio do Dragão. Porto club stores can, among others, be found at Shopping Cidade do Porto (south-west of the historic centre) and Arrábidashopping (on the south bank). Tickets typically range in price from €12.00 for a seat behind the goal to €40.00 for a central seat at the lower-tier of one of the long sides, but prices can vary depending on the match. FC Porto offer guided stadium tours that include the presidential box, changing rooms and dugouts. The tours last approximately 45 minutes. Estadio do Dragao also boasts the FC Porto club museum, which is opened seven days a week except Monday mornings. The tour costs €8.00, or €15.00 with the museum included. FCPorto.pt – Official website of FC Porto. Portoturismo.pt – Official portal of Porto’s tourism agency. Metrodoporto.pt – Information on the Porto metro. I went to watch Porto against CD Nacional last weekend. The stadium is absolutely amazing. Metro stops just outside Estadio Do dragao. I bought my ticket on the day of the match for 15 Euros. Centrally located seat in the top tier from which the view was amazing. The game was good(Porto won 4-0). Free match day programmes were available literally from everywhere. Attendance was poor( only 27000) and support was not impressive either. I expected more from Porto fans. Did not see any away fans at all. Would definitely go there again, but for a game against better opposition. One off the most beautiful stadiums in the world ,excellent accessibility and a great people 5 stars ! !